HOUSTON COUNTY – A Lovelady man has been arrested after he borrowed a friend’s car, burglarized a residence and stole 3 shotguns along with a rifle. 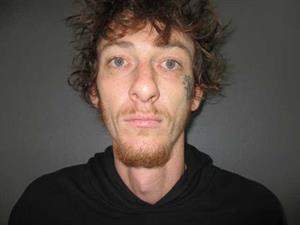 Jimmy Lindon Bird, 32, from Lovelady was taken into custody on Nov. 11 and charged with burglary of a habitation, stemming from an incident on Nov. 1. According to an affidavit of probable cause, Houston County Sheriff’s Office (HCSO) Deputy William Gardner was dispatched to 180 E. Houston St. in Lovelady on Nov. 1, in reference to a burglary. The owner of the residence informed the HCSO deputy he had left for work at approximately 7:30 a.m. on Nov. 1 and when he returned home at noon for lunch he “… discovered someone had entered his residence through the backdoor that was unlocked and had taken four firearms from his gun cabinet,” the affidavit reported. The firearms taken from the residence were listed as: a 410 single-shot shotgun; a Remington Model 870 shotgun; a Savage Model 67 shotgun; and a Remington 7 mm Magnum rifle. As Gardner began his investigation, he spoke with a witness who informed the deputy a brown in color, four-door sedan with a busted rear windshield was observed backing out of the yard of the residence which had been burglarized. The owner of the vehicle was located and identified. According to the report, he told law enforcement officials he had loaned his car to Jimmy Bird shortly before the burglary occurred. The vehicle owner also stated he had been walking the streets of Lovelady when Bird failed to return his car in a timely manner. The affidavit further indicated he stopped at the Valero gas station in Lovelady and asked an acquaintance for a ride home. Video surveillance footage was pulled from several area business which corroborated the vehicle owner’s story. Gardner also spoke with the acquaintance of the vehicle owner who provided further confirmation of his alibi. The acquaintance added when he took the vehicle owner home, the brown sedan was back at his residence. He also indicated he never saw Bird. Warrants were issued for Bird’s arrest and on Nov. 11, he was booked into custody on one count of burglary of a habitation, a second degree felony. Bird is being held at the Houston County Jail on a $20,000 bond.